Headsets maker Plantronics has entered an agreement with the US Securities and Exchange Commission (SEC) to settle an investigation into Polycom, which it acquired in July 2018. Plantronics will pay US$36 million to settle the investigation, which began after Polycom reported it discovered evidence of "possible improper behaviour" by former employees at its China unit. Plantronics, which bought Polycom in a $2 billion deal in July, said the incident happened prior to the video conferencing equipment maker going private in 2016. The company in August said the SEC and the US Department of Justice (DOJ) were investigating into possible violations of the Foreign Corrupt Practices Act by Polycom. According to SEC documents, from 2006 through at least 2 July 2014 Polycom’s vice president of China at Polycom’s China subsidiary, along with senior managers, provided significant discounts to Polycom’s distributors and/or resellers, knowing and intending that the distributors and/or resellers would use the discounts to make payments to officials at Chinese government agencies and government-owned enterprises in exchange for those officials’ assistance in obtaining orders for Polycom’s products. Employees and managers at the China subsidiary recorded the payments in a parallel deal-tracking and email system located in China, outside of Polycom’s company-approved systems, according to SEC. Sales staff at the subsidiary were instructed not to use their Polycom email addresses when discussing sales opportunities with Polycom’s distributors. "Throughout this period, Polycom failed to devise and maintain a sufficient system of internal accounting controls and lacked an effective anti-corruption compliance program with regard to its Chinese sales operations. "During the period of September 27, 2012 through July 2014, the efforts to make, and conceal, improper payments to Chinese government officials carried out by Polycom’s Chinese subsidiary ultimately netted Polycom approximately US$10.7 million," according to SEC. Polycom has neither admitted nor denied the SEC's allegations, Plantronics said in a statement. 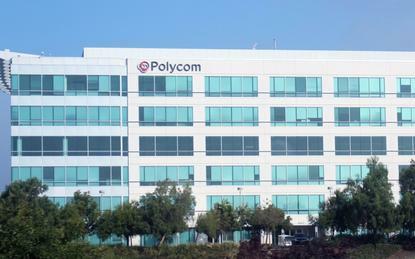 The company said the DOJ cited Polycom's voluntary disclosure and full cooperation to close its investigation.